2017: The Year When The World Laid It’s Eyes On The Philippines! 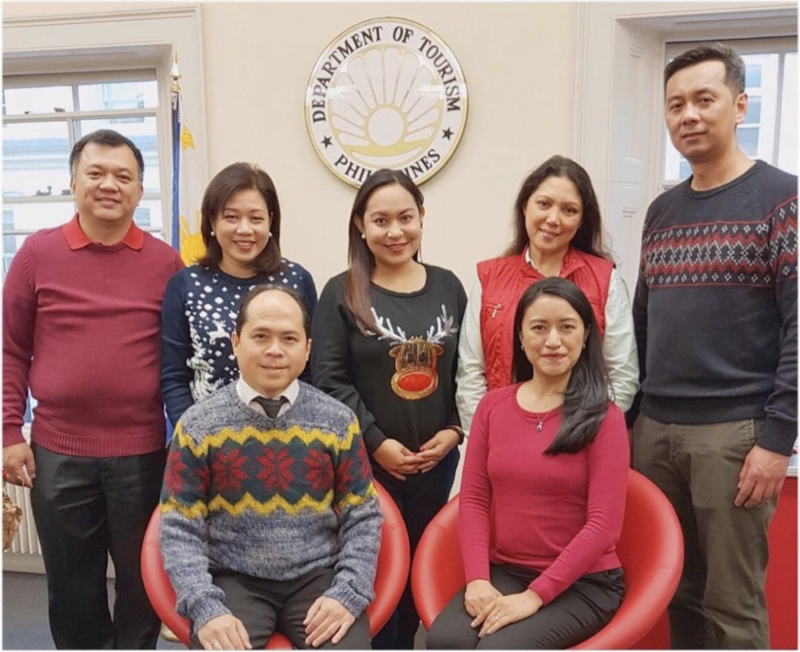 The Philippine Department of Tourism London Team extends its warmest greetings to all during this holiday season with grateful hearts for the support you have extended in 2017 and hope for even stronger partnerships in 2018! 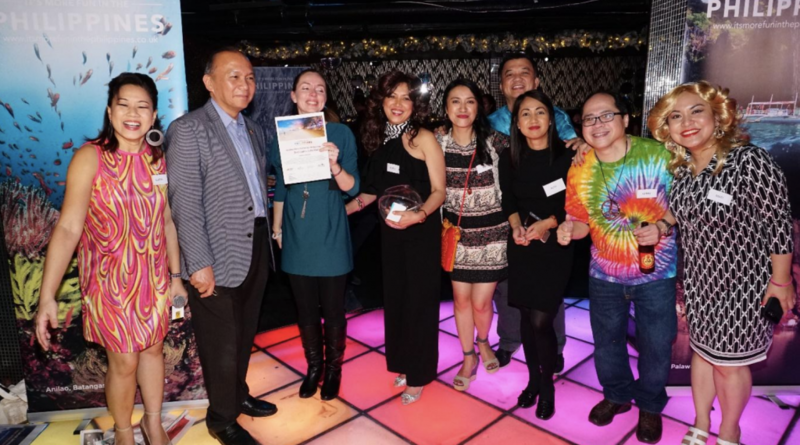 It was indeed a”night to remember” as the PDOT London Team staged its year-end appreciation night for their partners in the travel trade and media. The event was held at the Loop Bar and was attended by almost 200 guests from the industry who had a taste of a Philippine-style groovy night with singing, dancing, Filipino food, beer and rum cocktails using the world-class Don Papa Rum. 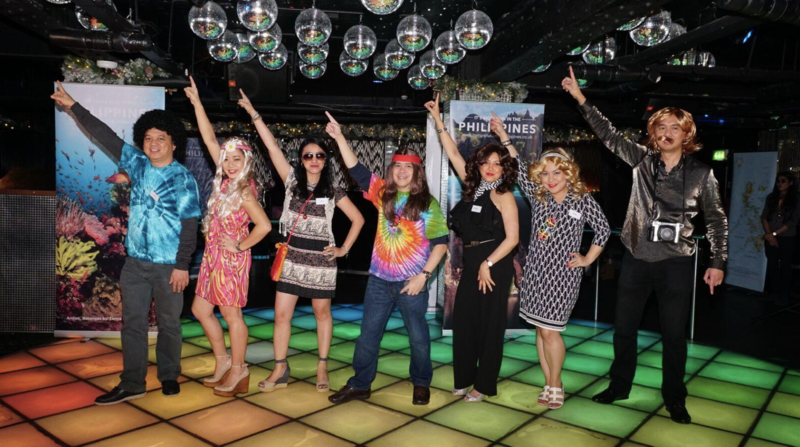 The night was capped by a holiday raffle which included international and domestic tickets from Philippine Airlines and hotel accommodation at Sheridan Hotel in Palawan, Plantation Bay in Cebu and Savoy Boracay. The photo above shows the lucky winner Thea Wall Coomber from Jules Verne (3rd from left) together with the Philippine Embassy Deputy Chief of Mission, Ambassador Gilbert Asuque (2nd from left) and the PDOT London Team led by Tourism Attache Gerard O. Panga (2nd from right). 2017: THE YEAR WHEN THE WORLD LAID ITS EYES ON THE PHILIPPINES! With the Miss Universe 2016 pageant on the first month of the year, 2017 has been a very fruitful one for the Department of Tourism (DOT). After almost 23 years since the last time (May 1994) the Miss Universe pageant took place in the Philippines, the prestigious event was held once again (January 2017) in the country with its very own Pia Wurtzbach passing on the Miss Universe crown to Iris Mittenaere of France. “Our islands, food, and the biggest smiles of our people are all over the news and social media these past few weeks. 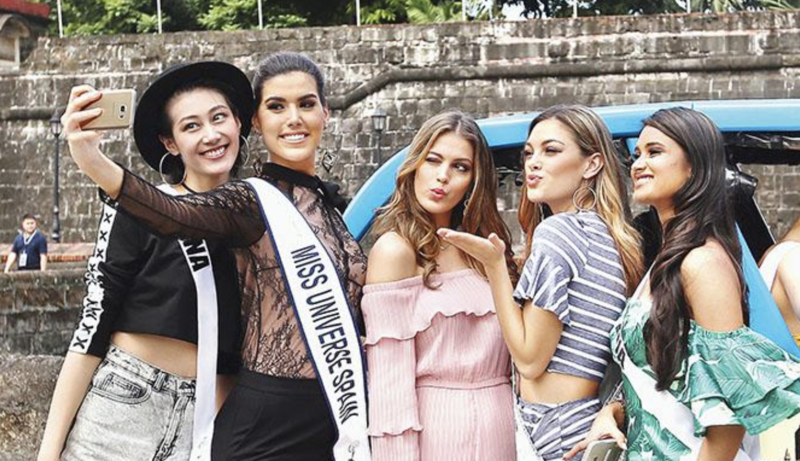 The world now knows how beautiful our islands are, how delectable our cuisines are, and how friendly and warm Filipinos are – just ask the Miss Universe candidates themselves,” Tourism Secretary Wanda Corazon Teo said after the pageant. 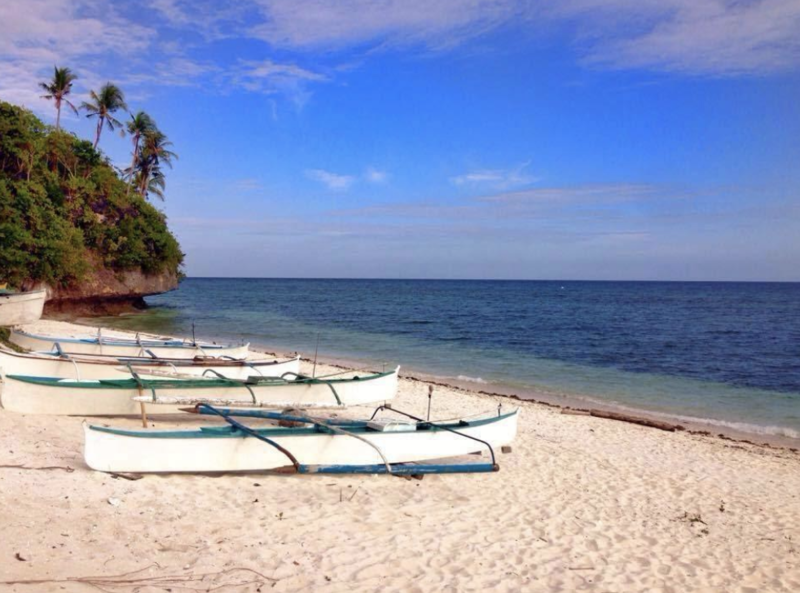 After over 10 months, such event resulted in more tourist arrivals in the Philippines. 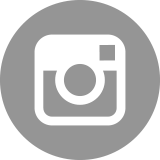 “It has increased tourist arrivals. Nakilala tayo. Nag-increase ang arrivals (It has increased tourist arrivals. We became famous. The arrivals increased),” Teo told Manila Bulletin in an interview. A total of 5,474,310 international tourists visited the Philippines within the first 10 months of 2017, the latest data from the DOT showed. It noted a marginal increase of 11.54 percent compared with what was recorded in the same period last year, which was 4,908,017. Aside from the Miss Universe pageant in the Philippines, there were other factors that helped the tourism industry in terms of arrivals. “Hindi lang naman Miss Universe. I’ve been going out of the country. Nag-ikot ako. I talked to the tours operators. Ini-invite namin silang pumunta sa Pilipinas para i-promote nila sa kanilang country (It’s not only the Miss Universe. I’ve been going out of the country. I went from one country to another. I talked to the tours operators. We invited them to come to the Philippines so they could promote it to their countries),” Teo noted. Also a factor of the increased arrivals is the growing number of Chinese and Indian tourists. Teo said the country is getting close to the one-million target for Chinese tourists. “Almost there, [we now have] around 900,000 [Chinese tourists], she disclosed. 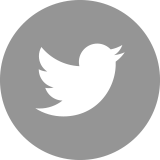 India visitors, on the other hand, increased by 20.28 percent. “With the surge in Chinese and Indian arrivals, we are optimistic to hit the target of at least 6.5 million as set by the National Tourism Development Plan for 2017-2022,” she said. To gain more tourists, the DOT has also revived the “Invite Home a Friend” program which was launched in 1994 by then-tourism chief Mina Gabor. 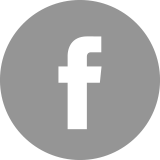 Called “Bring Home a Friend” under Teo’s leadership, the program is open to the public from October 15, 2017 to April 15, 2018. The BHAF is a referral incentive program wherein Filipinos or Philippine expats who invite foreigners to visit the country will have a chance to win a prize. Three sponsors and invitees will be selected on the grand draw. The farm tourism spots in the country are also being showcased now after the launch of the “It’s More Fun in Philippine Farms” program. Teo said a series of activities would be held throughout the country including consultative assemblies of farm tourism stakeholders; and exhibits on diverse farm tourism destinations, farm produce, and “pasalubong” specialty items. “It’s about time that we take steps to put farm tourism at center-stage, as the country teems with rich agricultural destinations as nurtured by our hardworking farmers, who we now recognize as major stakeholders in an inclusive and sustainable tourism industry,” the DOT chief stated. “We are so proud about this citation and happy about its very timely announcement which comes right after our visit in December when I had pushed for the island’s immediate improvement and development as an ecotourism destination,” Teo said. The Puerto Princesa Subterranean River National Park ranked 30th on the Cable News Network (CNN) Travel’s “50 Works of Art” list. “Nominated as one of the New 7 Wonders of Nature, the Puerto Princesa Subterranean River runs for 8.2 kilometers underground and boasts limestone karst formations, stalactites and stalagmites,” said CNN Travel editor Bija Knowles in her list. Meanwhile, Baguio was included in the “UNESCO (United Nations Educational, Scientific and Cultural Organization) Creative Cities,” under the field of Craft and Folk Arts. “This is a fitting tribute to Baguio as a community that teems with so much talent, particularly in the area of crafts and folk arts,” Teo said. 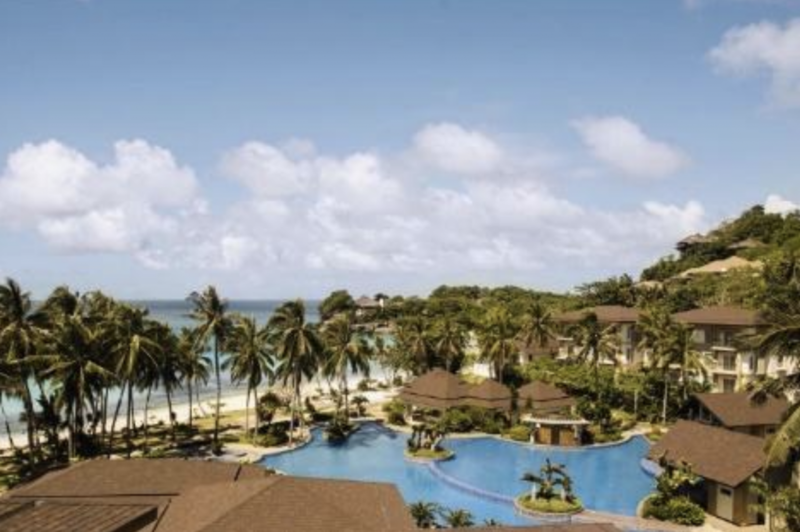 TOKYO–(BUSINESS WIRE)–Hotel Okura Co., Ltd. announced today that it has entered an agreement with Travellers International Hotel Group Inc. (TIHGI) to manage Hotel Okura Manila, which will open in Manila, Philippines in 2018. 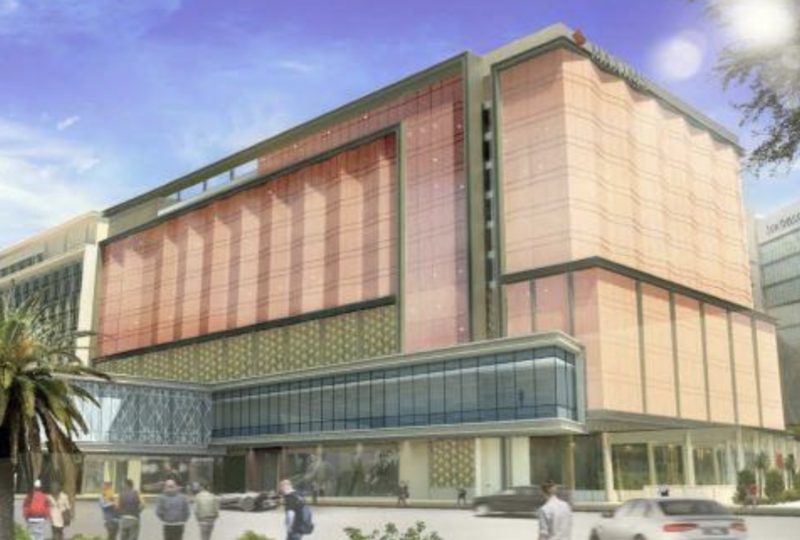 Located near Manila’s Ninoy Aquino International Airport (NAIA), the 191-room Hotel Okura Manila will be conveniently situated within Resorts World Manila, an integrated resort owned by TIHGI. As a gateway to Makati City, the country’s financial district, the hotel will offer easy access to Manila’s business and leisure centres. 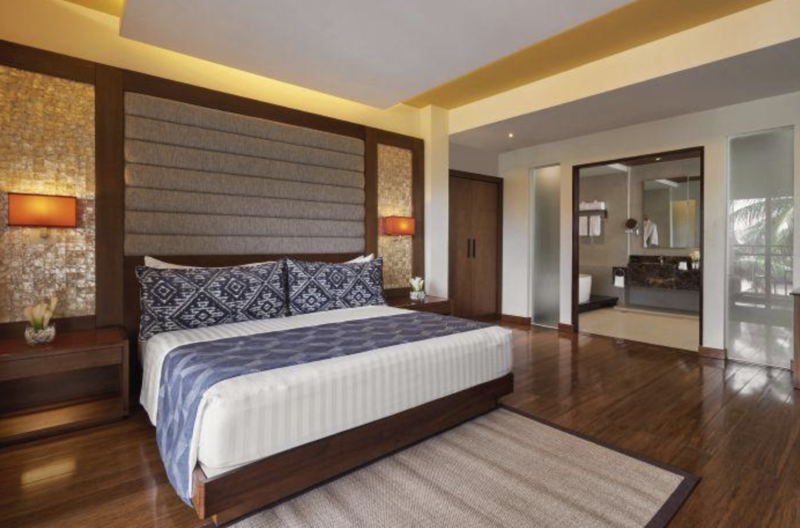 Hotel Okura aims to strengthen the bond with the promising markets including the Philippines. To remark its commitment, Hotel Okura has made a donation of 100,000 USD to the Philippine Red Cross for natural disaster recovery in 2013. CLARK FREEPORT — The Philippine Retirement Authority (PRA) plans to increase the number of foreign retirees in the country to 80,000 by 2020 through various incentives, according to the agency’s top official. As of November, foreign retirees numbered 53,355, Bienvenido Chy, PRA general manager, said after he inducted officers of the newly formed Philippine Investors and Retirement Industry Council (Piric) here on Thursday. Most of the retirees are from China, Korea, Taiwan, India, Japan, United States and Australia. 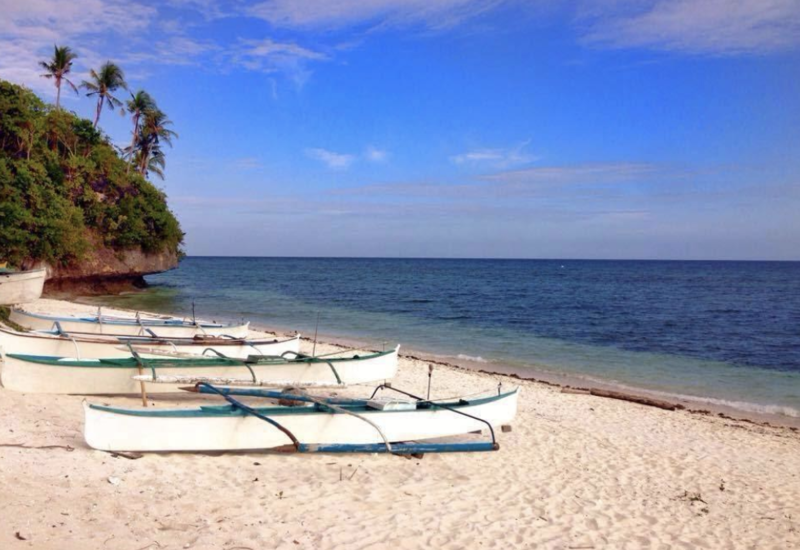 “They prefer the Philippines as a retirement place,” Chy said. “Our advantages are our beautiful climate, we have the best golf courses and beaches, our people are naturally friendly and it is economical to live here,” Chy said. PRA offers foreign retirees and Filipino retirees, who have acquired foreign citizenship, a special resident retiree’s visa that gives them non-immigrant status and grants them multiple-entry and indefinite stay. Chy said that PRA would exempt them from paying travel taxes and allow them and their children to study in the Philippines. He said retirees were not required to go to the Bureau of Immigration to acquire a visa. They were also linked to business partners should they wanted to invest here. Retirees are encouraged to start or expand businesses given that the economy has enjoyed a 6.9 percent growth rate, Chy said. He said that Clark Freeport and New Clark City had been generating more interest because the Duterte administration was building an international terminal and a railway here. A recent survey undertaken by Expat Explorer in more than 100 countries showed that “52 percent or more than half of expatriates in the country found better personal fulfilment working in the Philippines than in their home countries,” Chy said in a speech at the Piric forum. As an attached agency of the Department of Tourism, PRA drew a net income of P453.2 million in 2016, remitting P210.44 million of that amount to the national government. The five-star beachfront property also offers a wide range of world-class facilities and attractions that appeal to guests of all ages, from the island’s biggest multi-level swimming pool spanning some 3,300 square metres to the Sol Marina Beach Club, which plays host to international DJs and dance acts. 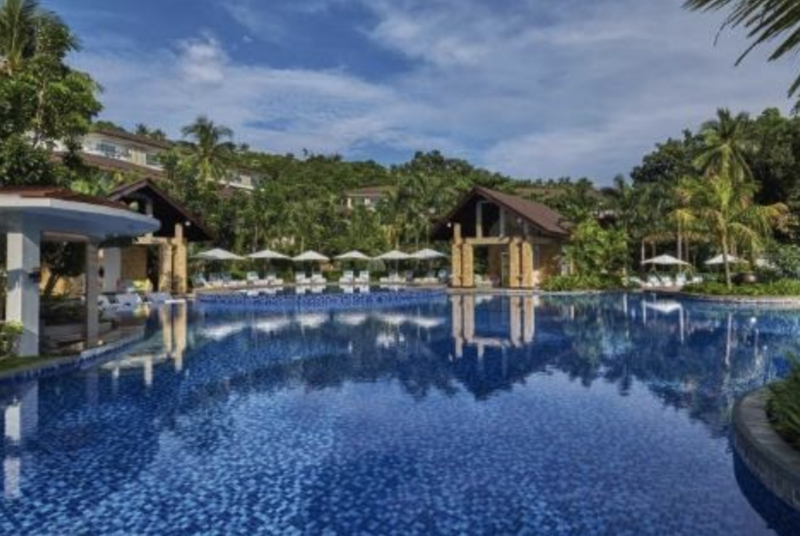 “With its unique design, exclusive setting and several one-of-a-kind facilities, Mövenpick Resort & Spa Boracay introduces a new style of hospitality to this tropical island and supports our ambitious expansion plans in the Philippines and wider Southeast Asia,” said Olivier Chavy, President & CEO, Mövenpick Hotels & Resorts. The new Boracay resort is set to quickly establish itself as a first-class dining destination, offering pan-Asian and international flavours at The Market, the resort’s all-day dining restaurant with regularly themed evening buffets; authentic Italian fare, including Neapolitan wood-fired pizzas, at Brezza; and top-quality Korean barbecue dishes and Japanese sushi at Ssäm. 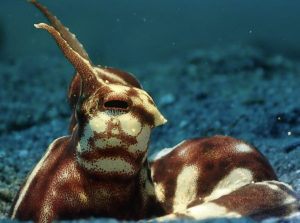 DIVING FOCUS: ANILAO UNDERWATER SHOOTOUT! 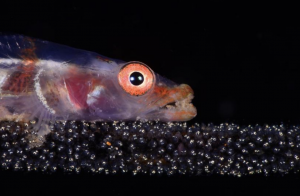 The 5th Anilao Underwater Shootout in the Philippines was recently concluded and it was led by a roster of International Judges namely David Doubilet, one of the most celebrated underwater photographers in the world. He is also a regular contributor to National Geographic Magazine. 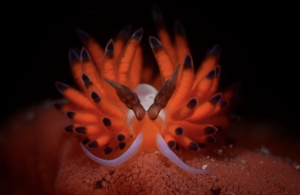 Jennifer Hayes (from the United States) is a known aquatic biologist and photojournalist specializing in natural history and marine environments. Of course, the Philippine is represented by Scott “Gutsy” Tuason, an award-winning photographer and co-author of the book “Anilao in 2000”. Tobias Friedrich from Germany has had his underwater images published in magazines like US Sport Diver, Unterwasser, Tauchen and many more. Singapore’s pride, William Tan, is a renowned underwater photographer and also a violinist in the Singapore Symphony Orchestra. Last but not least, Yoshi Hirata from Japan is based is a Cebu based marine biologist and accomplished underwater photographer. 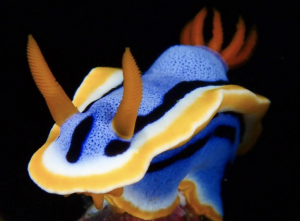 Cem Gazivekili from Turkey won 1st place in the nudibranch category, open class. 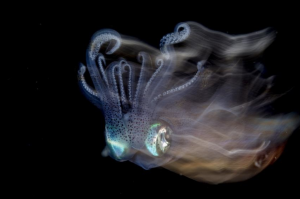 Lilian Koh (Singapore) got 1st place in cephalopod category, open class. 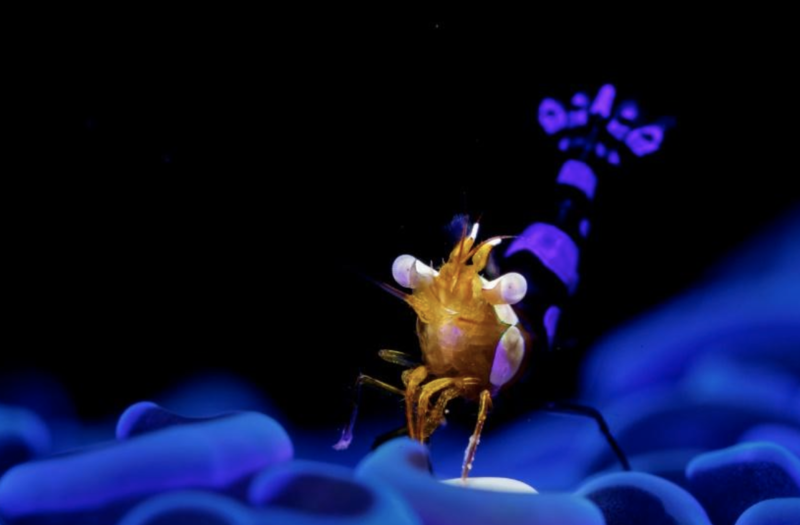 Wu Yung Sen (Taiwan) got 1st place, macro/supermacro category, open class. The Anilao Underwater Shootout is a yearly competition organized and sponsored by the Philippine Department of Tourism in cooperation with resort owners, dive operators, dive masters, and local Mabini stakeholders. The competition puts emphasis on macro underwater photography. Participants may stay and dive with any resort/operator of their choosing in the Mabini, Batangas area.